We've got oodles of motivational tools to excite your students, but do your students know where to find them? 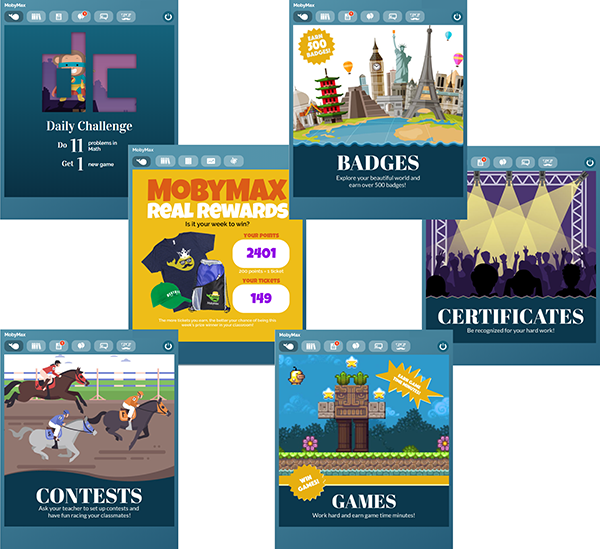 To inspire kiddos to get to work in Moby, we've added some splashy images to their sign-in screens that will link to their motivational tools. Check out a preview of the new screens below!